I’m in beautiful Washington, DC, getting together with other leaders of SNAP, renewing friendships and attending the SNAP Annual Conference. 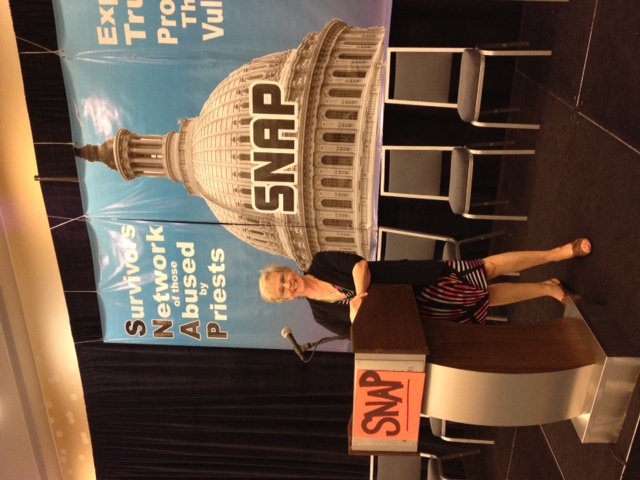 For those not familiar with SNAP, the acronym stands for Survivor’s Network of those Abused by Priests. It was founded by Chicago’s Barbara Blaine in 1988 and has become the largest and most active organization for people wounded by religious authority figures. 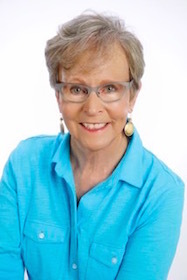 Barbara built the organization slowly, contacting survivors she learned about and inviting them to get together to share information and help. I’m inviting you to reach out to SNAP for all the knowledge and resources you need to deal with abuse. There is no more caring organization in the world. 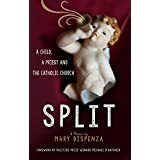 I learned about SNAP in Los Angeles in 2003, when I was being interviewed for a feature article on Father Rucker and priest abuse. Joelle Casteix, a member of SNAP, was in the attorney’s office where I was interviewed. From the moment we met she was there to support me. A wonderful representative of the organization. As helpful as Joelle was, I fought off SNAP for the longest time because I saw it as somehow connected to the church, which I wanted nothing more to do with. I didn’t want to fight the church in any way and I didn’t want to give it any more energy, or any more of my life. Then, because I was one of only a tiny handful who’d come forward about abuse, Barbara, founder of SNAP, asked me to join her at rallies and events in Western Washington. Doing that, I realized the importance of being a face and a voice – especially for those who could not speak for themselves. As I spoke, I began to see how SNAP is it’s own organization, not a church affiliate and it really is about keeping children safe from sexual violence and supporting victims. Then I was able to separate efforts on behalf of SNAP from giving energy to the church. In 2007, after seeing some of the great help SNAP provided, Barbara asked me to be the Puget Sound area rep, and I was able to say yes. Since then I’ve been privileged to meet many victims, to hear their stories and to point them to the help they need to heal. 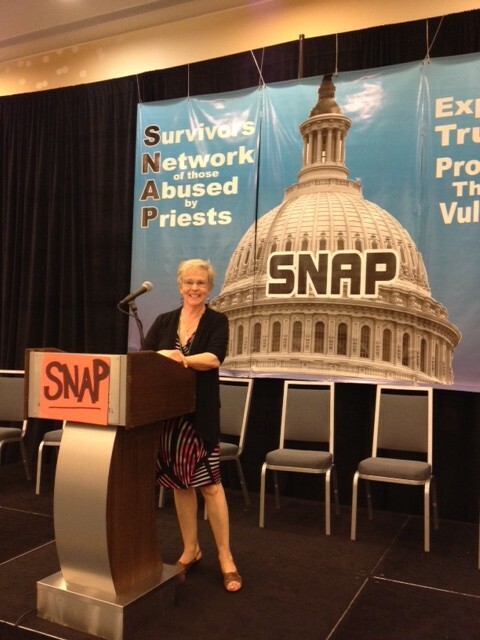 If you’ve been victimized by clergy, I strongly encourage you to check out all SNAP has to offer. There are monthly self-help group meetings in chapters across the country, help is available over the phone, and many resources are available online. For those who want to get involved in preventing future abuse, SNAP provides those opportunities too. Visit the SNAP website for more information on clergy abuse, survival skills, and ways to help keep children safe.